A unique collection of instrumental arrangements based on traditional, sacred Celtic hymns and songs. 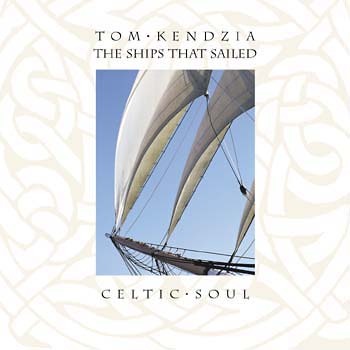 The Ships That Sailed is a unique collection of instrumental arrangements based on traditional, sacred Celtic hymns and songs. Recorded in Ireland by an exceptional ensemble of musicians, it captures—and celebrates—the great spiritual and musical heritage of the Irish. The title refers to the vessels that carried thousands of Irish across the Atlantic to the United States in search of a better life. Tom's grandmother was on one of those ships in 1916. His title piece is an evocative, three-movement musical portrait of this journey: the festivities the night before the journey, the journey itself—with music and dancing to help pass the time—and finally the joyous, long-awaited landing in America. As Tom explains, "The music in my heart comes from many places, but it clearly is rooted in this land of my ancestry." At times boisterous and mirthful, at times subdued and meditative, this album captures the Celtic-Irish soul in full color. Quick-stepping reels, jigs and other dance pieces alternate with wistful, melancholic ballads and sumptuous instrumental versions of classic tunes. The collection also includes secular slides and reels, two original compositions by Tom, a traditional American folk tune and an African-American spiritual. Beautifully recorded, it features traditional Celtic wind, string and percussion instruments, including fiddle, box accordion, harp, guitar, uillean pipes, whistles and flutes. Several tracks feature ethereal vocals in Gaelic. An excellent background for prayer and meditation—but great for listening at any time—The Ships That Sailed is a touching, personal testament to the special contributions of the Irish to our music and our faith.